A few months ago, we tried out the new incarnation of Bistrot Bistro, now named Le Cigale, located in Kitsilano. I hadn't been to the old restaurant, but have been on a bit of a French cuisine kick lately, so I decided it was time to give it a try. 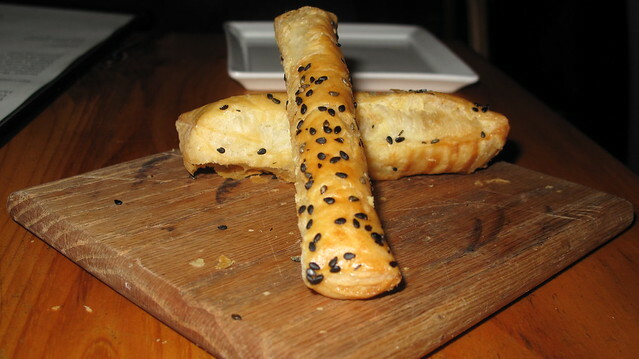 Instead of the usual bread and butter, dinner kicked off with little pastry puffs, sprinkled with sesame. These was delightful, flakey and just a hint of saltiness. Loads of cheesy goodness, melting lovingly over the vessel, the French Onion Soup does not disappoint. It was all I could do to refrain from slurping it up at the danger of burning my mouth. I always get a teaspoon with my soups, I find this helps to slow me down, just a bit. It's also a great utensil to scrape off all the luscious cheese. The broth was dark, sweet and loaded with caramelized onions. 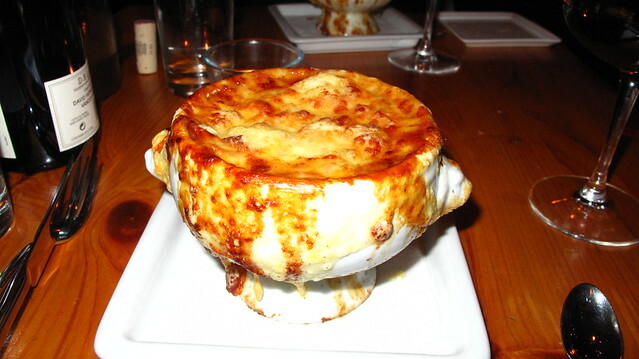 It's definitely a rich dish, but if you are a fan of French Onion Soup, this is one of the better ones in Vancouver. 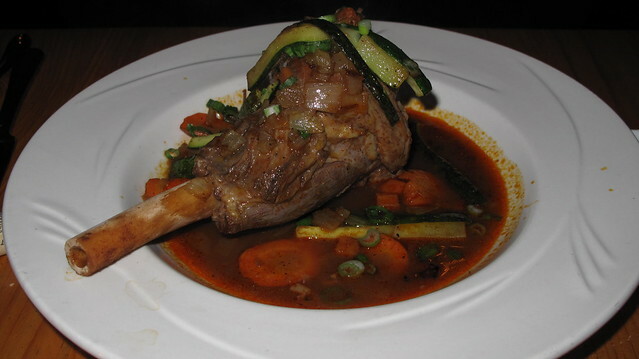 This is their Lamb Shank, love meats that are served on the bone. And this was literally falling off the bone. The veggies accompanying the lamb were super tender as well. The flavours are mildly Moroccan but my favourite part was gnawing on the bone. I eat with my hands, and not ashamed. 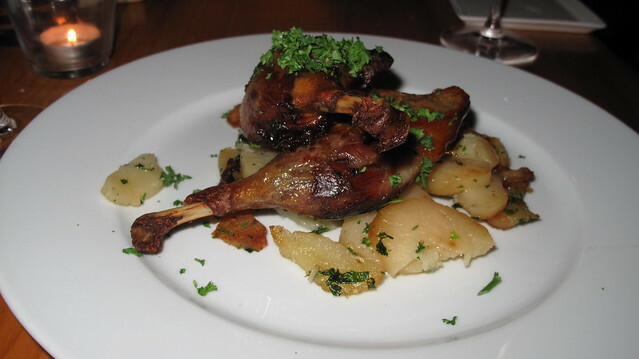 This is another "on the bone" dish...the Duck Confit, but it's one of their specials and not part of their regular menu. Call ahead if you want to ensure it's there the night you go. the skin is crispy, not crazy crispy, but has enough of a crunch. I really enjoyed the casual chop on the potato too, it's French food without being fussy. $32 3-Course Prix Fixe menu available Sun-Thurs.